Jarrad Davis soon followed in to meet with the media, blood dripping down his shin, a piece of skin sticking out over the red cut. “I always get kicked in the shin. The one day I decide not to wear my shin guards,” he joked. 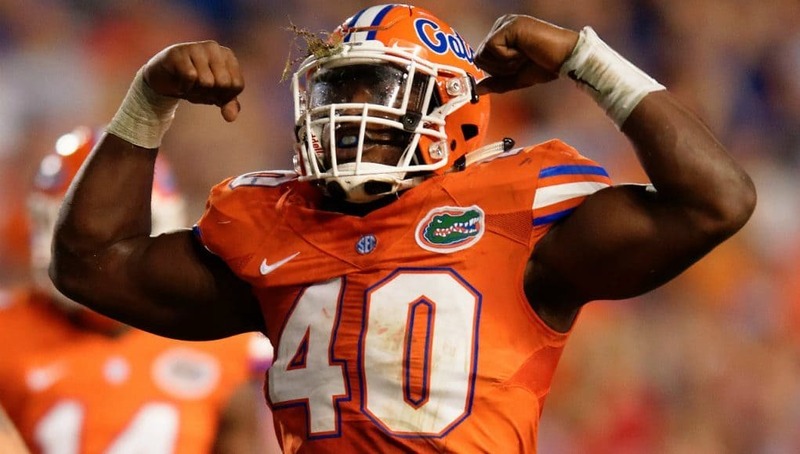 There isn’t much that can bother Jarrad Davis and the Gators defense this week. After six games going up against finesse teams that like to spread the ball around and get passes out quickly, this is the game that linebackers like Davis dream of playing in. Every year Florida vs. LSU promises to be a game that isn’t for the faint of heart. This is old-fashioned football. Les Miles prides his football teams on running the ball and dominating the game on the ground. 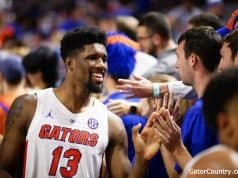 In recent years Florida has done the same and both teams churn out some of the best, most physical defenses year in and year out. That’s a recipe for an intense, bloody, punishing football game and it’s what makes Florida vs. LSU special. Adding a wrinkle to that theme is the 6-1, 230 pound Heisman frontrunner Leonard Fournette. Fournette looks like a grown man with his shaved head and full beard. He’s a physical specimen who is an inch shorter but the same size as Davis. Fournette is built like a linebacker but he moves like Brandon Powell with the ball in his hands. He’s the best player in college football and the engine that makes the LSU offense run. 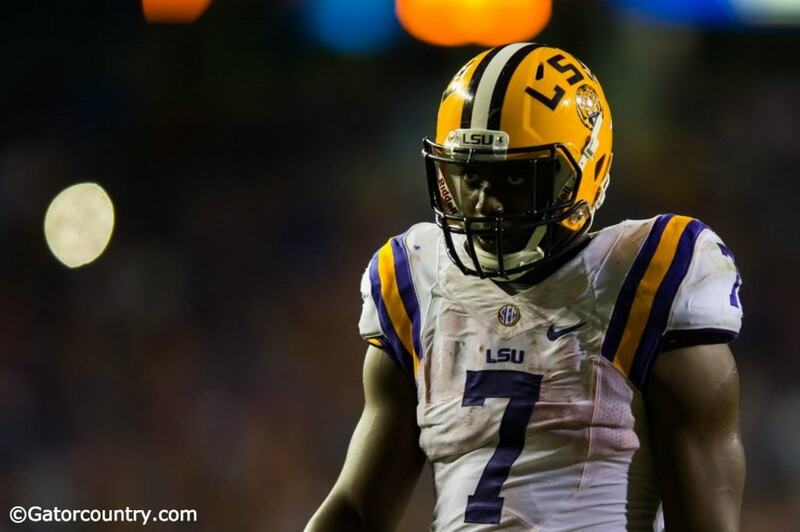 As a freshman, Fournette led the Tigers in rushing with 140 yards on 27 carries in a 30-27 win at Florida. The Gators were able to tackle Fournette early, but his running style has a way of wearing down defenses, making many question if they really want to try and tackle this mountain of a man rushing towards them with a full head of steam. Tackling Fournette is a gut check for any defensive player. He’s a running back that doles out more punishment than he receives and most defenses have a breaking point, you stop breaking down and squaring up, you dive at ankles or throw a lonely arm in his way as to not become the next player to wind up on his highlight tape. Florida knows that it will take a concerted effort to slow down the man who is averaging more than 200 rushing yards a game this season. South Carolina had some early success against Fournette and the Tigers. The Gamecocks pushed all-in on stopping him, committing eight, nine and even at times 10 guys down in the box in an effort to slow the machine. Then, after a slow first half, Fournette broke off an 80-yard run, the result of a missed tackle. The speed that Fournette has is game-changing and one slip up on the defense can turn a five yard run into an 80-yard dagger. Every defensive coordinator will try to make their opponent one-dimensional. If you can take away the run or the pass, it makes the defense’s job easier to stop their opponent. LSU has done that job for defensive coordinators. The Tigers are one-dimensional by design because they can be. 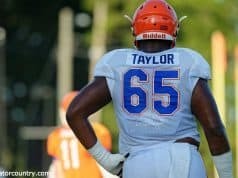 Their one dimension is the best player in the country and the most imposing player Florida will face in-between the lines this year. The challenge is daunting. Nobody has been able to stop Fournette this season and the super sophomore is proving that stopping him may be an impossibility. But this is what defensive players signed up for. 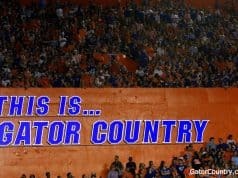 This is what they dreamed of when they signed a letter of intent to play defense at the University of Florida. The crack of pads will be heard well over the 100,000 screaming fans in attendance on Saturday night as the Florida Gators and LSU Tigers play football the way it was meant to be played. The news that Will Grier would not play this week as dominated the headlines but that isn’t what this game is about. It never was and it still isn’t. This game is about Leonard Fournette and the Florida Gators defense. It’s big boy football at its finest. Good Article Nick. Can’t wait until Saturday. Win or lose this is a Great Bday week for me. Top 10 match up that includes the Gators and the LSU tigers in THE Death Valley. Awesome!! !